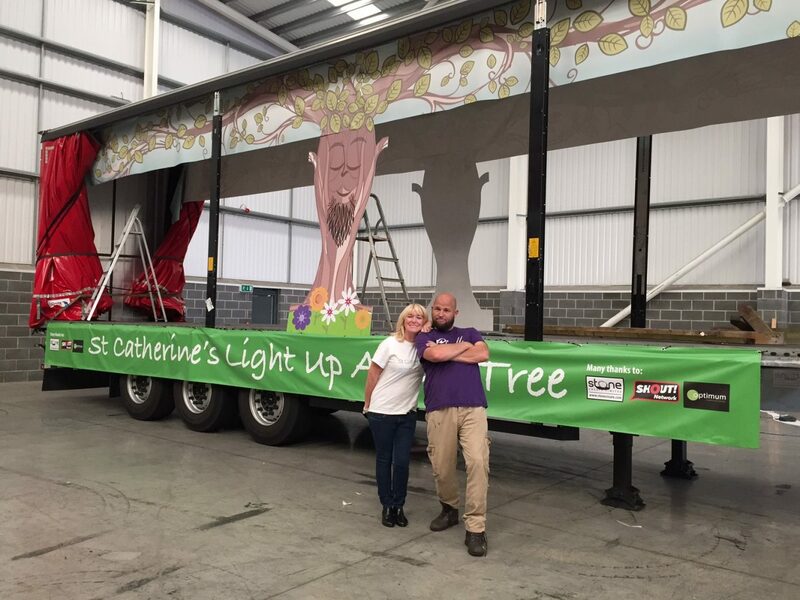 A few weeks ago we were approached by St Catherine’s Hospice and asked if Stone Create could help give them some creative ideas for their float for Preston’s Procession of Light. They had lots of fairy lights, but were struggling for ideas of how to decorate the truck. A meeting was arranged with Shane, our MD, and Lynne from St. Catherine’s, and as we discussed the project Shane drew a sketch and quickly came up with a concept for the float. The truck was 40 ft long, so decorating it was somewhat challenging! It was lovely to be asked to help and with the partnership of various people including Shout Network ,Golden Soney, (who provided shrubs) and members of the Stone Create team, the concept was realised. The hospice are a local charity and do a brilliant job providing end of life care, heavily relying on donations to generate £3.7 million pounds per year to cover their costs.